The all-new Chevrolet Silverado 4500HD, 5500HD, and 6500HD Chassis Cabs are engineered from the ground up to help make your fleet more capable, more productive, and more efficient. 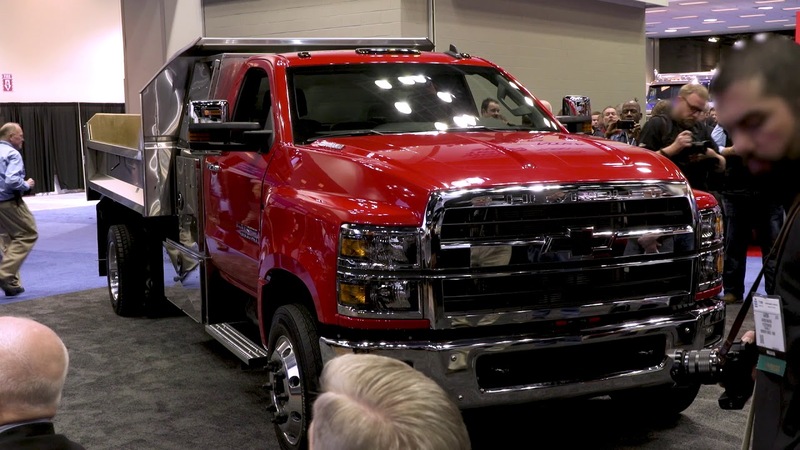 With a standard Duramax® 6.6L Turbo-Diesel V8 engine paired with an Allison® automatic transmission, as well as an upfit-focused design, the Silverado Chassis Cab lineup offers your business the strength and versatility to get the job done. Designed to make upfits as quick and painless as possible, Silverado Chassis Cab centers around a straight frame design with a clean top-of-rail, single-piece frame rails with no welds or brackets, and a clean back of cab. With seven Cab-to-Axle options, ten wheelbase options, and regular or crew cab options available, you can easily configure Silverado Chassis Cab to be the next big thing for your fleet. 141 in. (Standard; 2WD Only) 60 in. 175 in. (Standard) 60 in. When you need big power and capability with a GVWR under 13,200 lbs.1 Silverado 3500HD Chassis Cab is built to pull it off. As an integral part of the Silverado Chassis Cab family, its upfit-friendly design and two powerful engine options give the 3500HD Chassis Cab the ability to handle the rigorous demands your business puts in front of it.